In the present scenario when prices of gasoline are constantly on the rise, car owners are looking for various alternatives to improve car mileage by enhancing fuel economy. Fuel economy or gas mileage is expressed as miles traveled per gallon. ‘Hypermilling’ is the latest buzzword used for explaining several techniques and driving methods adopted to boost up ‘gas mileage’ or maximizing fuel economy. Those who practice this technique are called ‘Hypermillers’. It became very popular during the 2000s due to the spurt in oil prices. One need not adopt any complicated methods to improve driving habits to achieve fuel efficiency; spectacular results can be achieved by following only a few simple ‘Hypermilling’ techniques. Some of the techniques employed for improving car mileage are so apparent that many car owners may never think about them. For example, one drives to the fast food center for lunch. After reaching the place, he will sit in the car in the drive through lane waiting for his turn to place order for the food. As he waits for 5 to 10 minutes, his car engine will be idling, which means it is still consuming gas and because of this all efforts to improve fuel economy will be wasted. In order to improve the fuel efficiency, he should park the car and go inside the fast food center to place order. Another example of ‘Hypermilling’ is waiting at the train tracks for a train to pass by. If it is going to be a long wait, the car driver should turn off of the ignition in order to improve gas mileage. Likewise, if the car has to wait for around 5 minutes at traffic light, it is better to switch of the car engine to save on gas. There can be many such opportunities to turn off the car engine, like waiting for children to come out of the school. Some people take food along with them when they go to work instead of visiting restaurant or fast center so that they can save money not only on food but also eat healthy food. As he will not be taking out his car for lunch, there will also be a saving of money on gas. 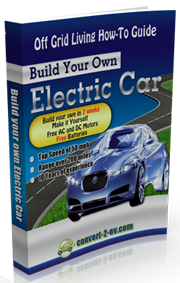 There are many other ways to improve fuel efficiency or car mileage. Weight also contributes to fuel inefficiency as any extra weight uses additional energy. It is therefore necessary to remove all unnecessary items from the car. Traveling light saves fuel. It is important to check tire pressure regularly. It is better to make sure that the tire pressure is at minimum, set as per manufacturer’s specifications. 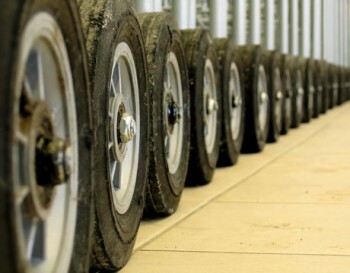 If the tire pressure is high, there will be less rolling resistance. The pressure is affected by the surrounding temperature. As temperature drops, the tire pressure also gets reduced. Another important step in improving fuel efficiency is to keep a track of fuel consumption. A proper record of all fuel receipts, recording of distance traveled and fuel economy as expressed in miles per gallon should be kept in a notebook in order to monitor gas mileage from time to time.